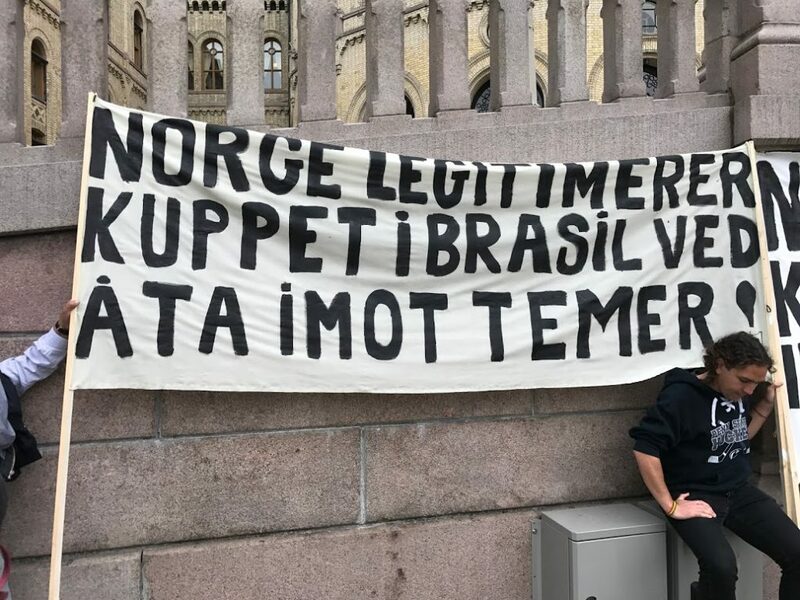 Thursday 22 June, in front of the Parliament, the main slogan was «Fora Temer», a protest against the illegitimate way he came to power and the neoliberal policies he has introduced. 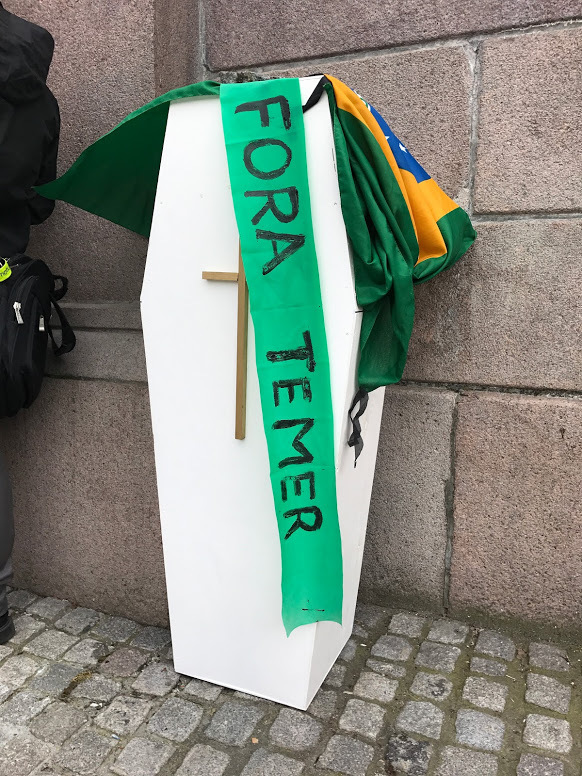 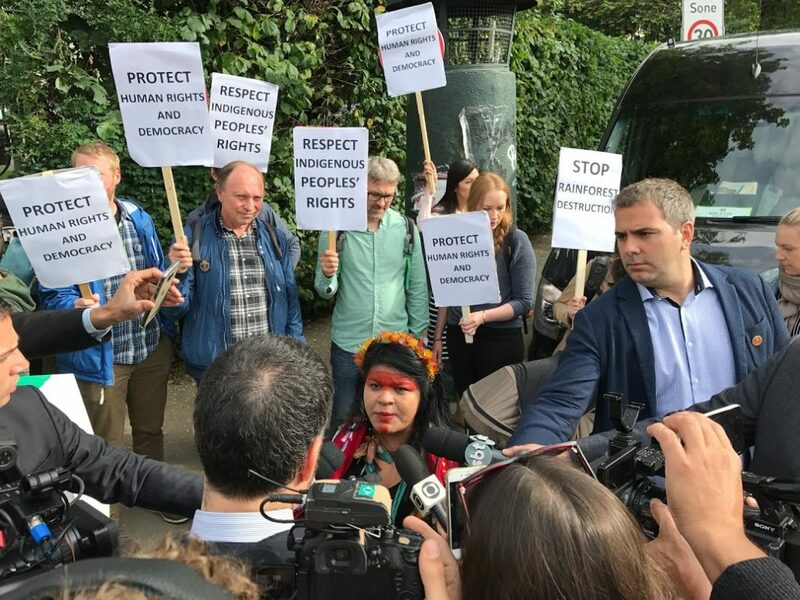 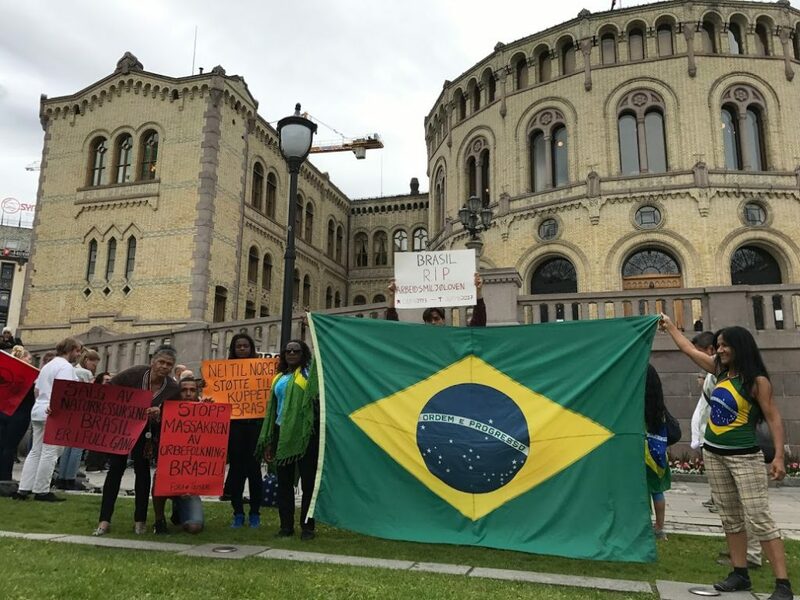 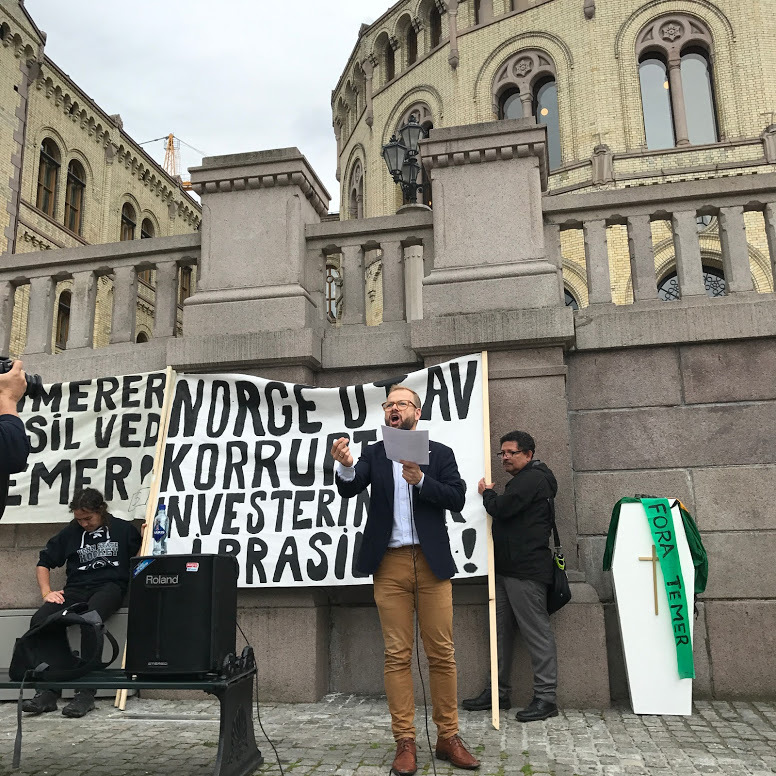 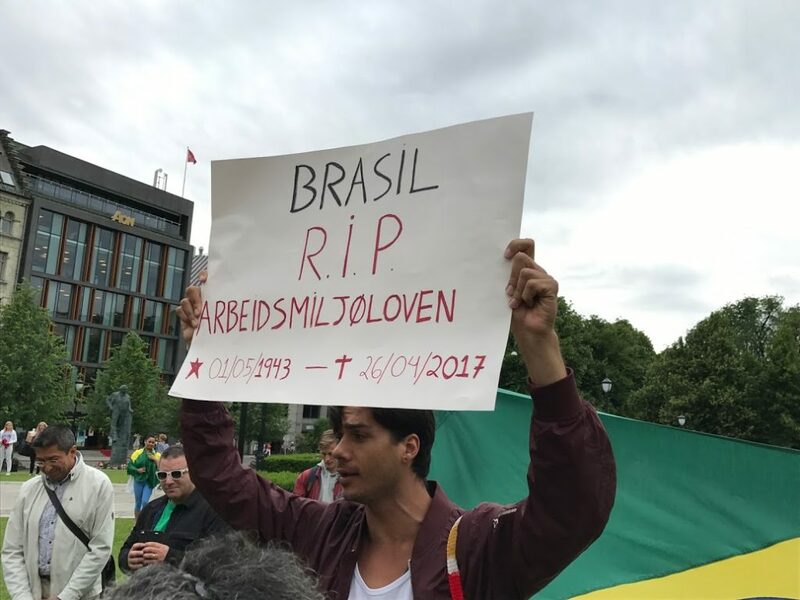 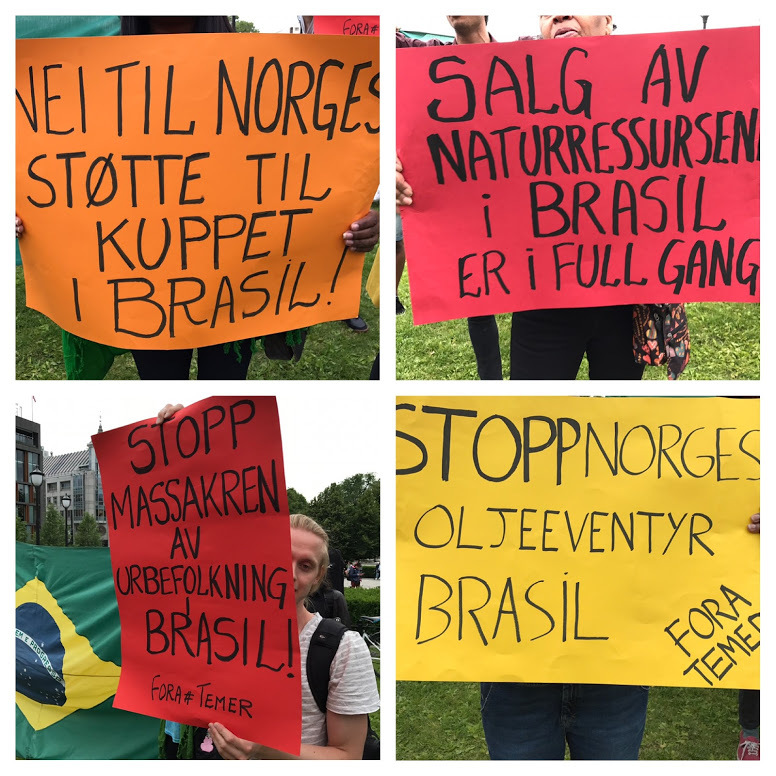 Friday 23 June, the protesters met outside Prime Minister Erna Solberg´s residence while Temer was there. 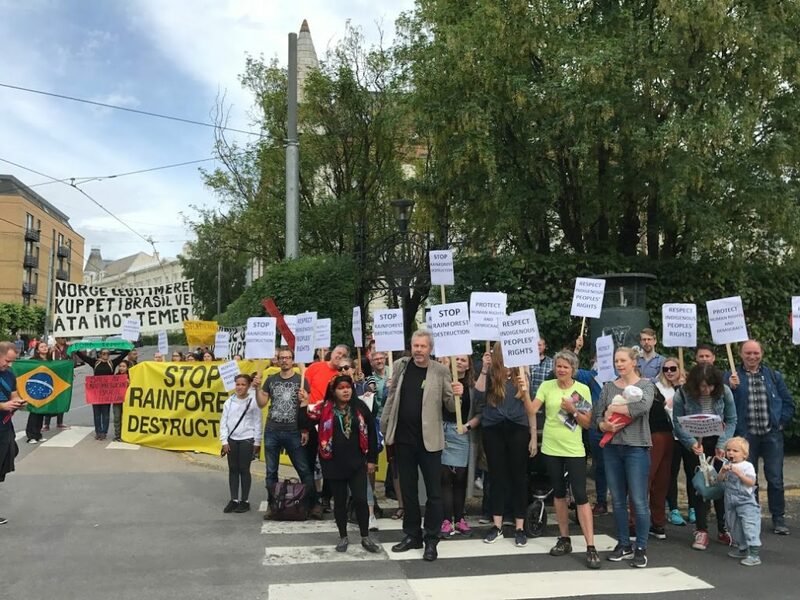 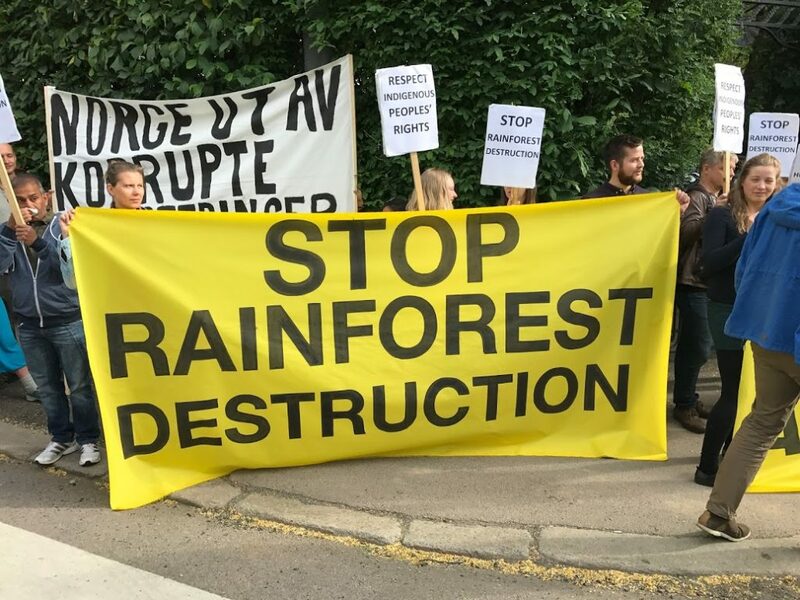 The main slogans were «Stop rainforest destruction» and «Respect indigenous peoples´ rights».